LISTEN: Latest Propertyshe podcast with Derwent London’s visionary John Burns as, after 35 years at the helm, he prepares to stand down as CEO. John is a former Chair of the Westminster Property Association and a New West End Company strategic board director. He is a Fellow of the Royal Institution of Chartered Surveyors (FRICS). In May 2019 John will become non-executive Chair of Derwent London, handing his CEO responsibilities to his longstanding fellow director, Paul Williams. Today, Derwent London is the largest central London focussed Real Estate Investment Trust with an investment portfolio comprising 5.5m sq ft worth £5bn. One of the leading investors and developers of commercial property in central London, Derwent has earned a reputation for anticipating the locations of tomorrow and contributing to London’s regeneration by creating award winning, design-led working environments. Projects include the iconic White Collar Factory at Old Street in the heart of the Tech Belt, 80 Charlotte Street in Fitzrovia, Brunel Building, Paddington and No 1 Oxford St. Derwent London won Property Week’s Property Company of the Year award in 2018 as well as many other awards. Brought to you by Mishcon de Reya in association with LREF. Following the local election results, what has changed across the capital, and how will those councillors who have gained or retained power engage with the property market? Although the local elections didn’t deliver any major shifts in the control of councils, the delivery of ‘genuinely affordable’ housing was a feature in most of the Party manifestos, echoing many of the themes in the draft London Plan. 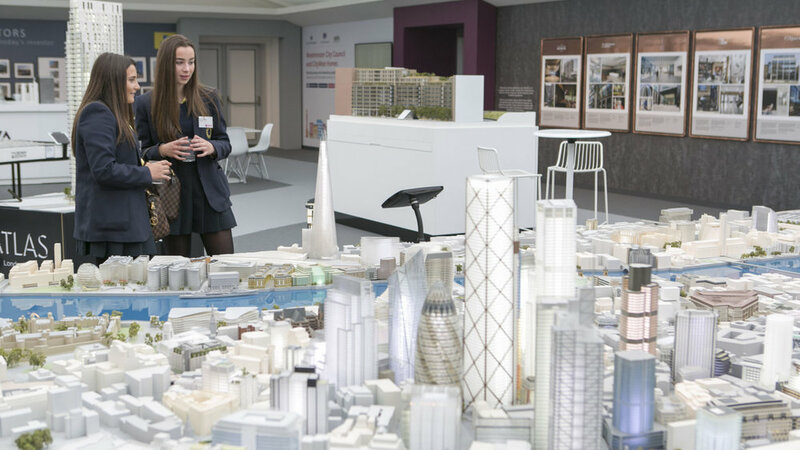 LREF 2018 will give you the opportunity to understand how Local Authorities intend to work with developers to bring forward much needed housing and business space across the capital and tackle the issues that are impacting on development. HB Reavis have come aboard at LREF this year both as exhibitors and sponsors of a roundtable session. Their latest project Cooper & Southwark is nearing completion and they have recently completed 20 Farringdon Street, which was designed with occupier flexibility in mind. We are excited that their wealth of experience will contribute to the Office, Flexible Spaces roundtable, and look forward to seeing what else they bring to LREF. The London Real Estate Forum are pleased to be joined by some of our capitals leading architectural practices. EPR Architects are the AJ100 Client's Choice Award Winner 2017, and will be showcasing a project this year in the Central London Hall. Buckley Gray Yeoman have recently completed the successful creative enterprises hub in Belgravia, Eccleston Yards, and will be showcasing one of their projects at LREF. We are also delighted that Make Architects are joining us as a corporate sponsor, and Grimshaw Architects are sponsoring our place-shaping session in our conference programme. New West End Company will be hosting a lunch reception at LREF on 13th June, with time to mix with key players and investors in the West End. Join them to hear about their latest updates by booking at www.lref.co.uk/register. The LREF Open Day this year will focus entirely on young people, opening LREF up to school children with talks from inspiring and high profile people working in the industry about careers, facilitated tours of the stands, speed networking and employability workshops. If you have previously brought a group to NLA or The City Centre why not take the chance to help them engage further with this rare opportunity to attend a professional built environment focussed event. For more information, or to book, email Lettie McKie, Head of Learning: lettie.mckie@newlondonarchitecture.org. Quintain, the team behind Wembley Park, one of London's most exciting new neighbourhoods, will be exhibiting at LREF this year. During Quintain's 24-year history, they have transformed assets across the Capital into places where people want to live, companies want to grow and neighbourhoods can come alive. 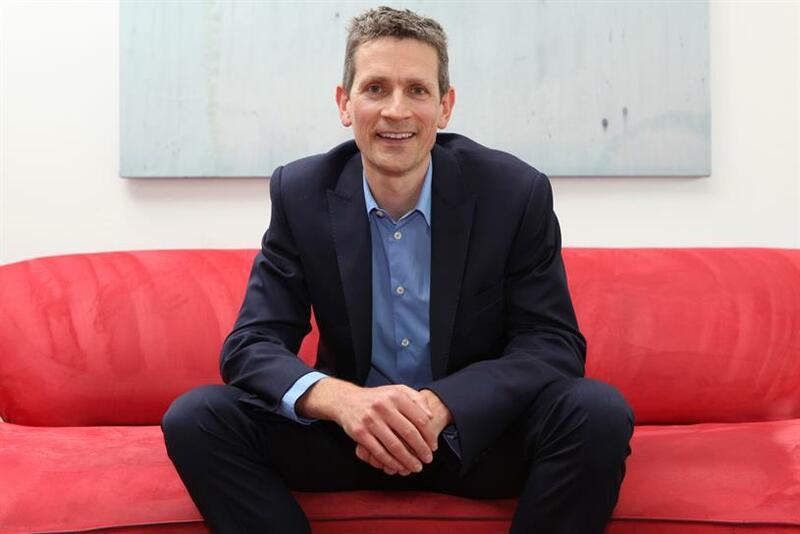 We are delighted to announce that Bruce Daisley, EMEA Vice President of Twitter, will be speaking at LREF on Wednesday 13th June in our Workplace Culture session to share his view on workplace culture. Alongside leading Twitter’s business in EMEA, Bruce runs the top business podcast, Eat Sleep Work Repeat and believes that open plan offices are the enemy of getting anything done. Recognised as one of the most inspirational leaders in media and someone who regularly appears on lists of the most influential Londoners, Bruce is a visionary whose views challenge our approach to workplace culture. AECOM have joined the London Real Estate Forum this year as our newest headline sector sponsors. AECOM deliver of some of London’s largest infrastructure projects, using their understanding of the tools and resources required to deliver safe, secure and resilient cities. They will be partnering on our Transport Related Development conference session on Thursday 14th June. Just over one week until earlybird rates for LREF delegates expire. Make sure you book your two-day pass today to save £100 or your one-day pass and save £60. We are pleased to announce that Gowling WLG are returning this year as Headline sector sponsors at The London Real Estate Forum, partnering on our Brent Cross conference session on Thursday 14th June. Gowling WLG is an international law firm focused on key global sectors, including energy, financial services, life sciences, natural resources, infrastructure, real estate and tech. The session is shaping up to be very promising and we are sure to gain valuable insight into the local area.